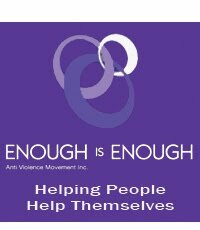 Watch our new online video "From Tragedy to Triumph" with inspirational ideas from Ken Marslew AM, CEO of Enough is Enough and music by Andy V "Turn Tragedy to Triumph" written especially for Enough is Enough. Find out some ways on how to turn the pain into the power and negative into positive. Thrive, don't just survive. Make a difference. How to Handle Difficult People - It's Your Choice!